This 2018 holiday season will be the 64th year for the community event called the Holiday Clearing House. Since at least 1954, there has been a Clearing House in Delaware. This early event served 58 families. It was the brain-child of the Board of the Council of Social Agencies, an agency of the Community Chest whose function was to coordinate programs and prevent duplication. It became obvious that there was considerable duplication of “Christmas Baskets” to the needy, and that there were many families undiscovered who received no community help. The Council of Social Agencies organized a referral system and names were contributed by welfare and health departments, schools and churches, and from Aid for the Aged. As the program grew, distribution day moved from the old Delaware Inn and later to the Armory, which was located on West Winter Street. The program continued to grow, and in 1992, was moved to the Coliseum at the Delaware County Fairgrounds, where it is still held. • New toys are donated so parents can select toys suitable for their children. This allows the parents to be more involved in providing gifts for their children. • Each family is given a three-day supply of food for every member of the family. • Each child is adopted by a local church or business to receive gifts. • New coats and outerwear is collected to provide each child with a new coat. • The Clearing House also provides gifts and food for seniors who live in the community. In 2017, the Holiday Clearing House served 594 families, which included 1,052 children, 670 adults and 278 home-bound seniors/disabled. During the 2017 Clearing House, 1,133 volunteers donated more than 3,794 hours of their time to help the less fortunate in Delaware County. These hard-working volunteers packed over 1,000 bags of groceries in just three hours. That’s more than 16,000 meals. They delivered food and gifts to 278 senior/shut-ins, and so much more. The Holiday Clearing House provides an opportunity for the Delaware County community to participate in an activity that embodies the spirit of the holiday season. Food Drive & Youth Service Day: Dec. 1, 9 a.m. to 2 p.m.
Holiday Clearing House: Dec. 3-7, 9 a.m. to 4:30 p.m.
Family Distribution Day: Dec. 9 8:30 a.m. to 5:30 p.m. 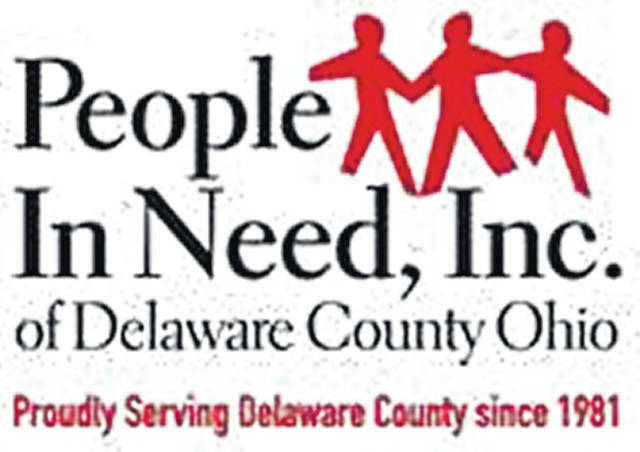 Individuals interested in being part of this event can call 740-363-6284 or send an email to info@delawarepeopleinneed.org.